Whats up skateboard heads, Nike Sb has put out yet another great commercial. Our boy Paul Rodriguez one of Nike Sbâ€™s pro-skaters is featured in a short film that follows Ice Cubeâ€™s song, â€œToday was a good day.â€ There are several appearances from other skaters and even Kobe Bryant and Ice Cube himself. Eric Koston also skates alongside P Rod busting some gnarly grinds and tech tricks. If you havenâ€™t checked out the Art Primo skate decks and the other marvol decks peep them out. Get your skate on! 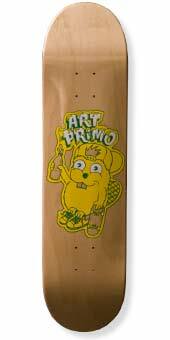 This is the official skate deck of the Art Primo Skate team. These are great quality decks. This was a very limited run so pick one up before they are gone.